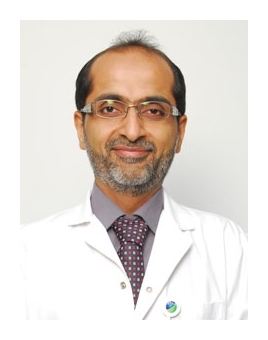 Dr. Arif Adenwala is a UK licensed ophthalmologist and has received training in India, UK and the United States. Dr. Adenwala completed a fellowship of general ophthalmology and phacoemulsification from a specialized hospital in India, furthermore he completed his fellowship from the Royal College of Surgeons of Glasgow, UK. Dr. Adenwala’s scope of work includes pediatric ophthalmology, phacoemulsification for treatment of cataract, glaucoma surgery and squint correction.